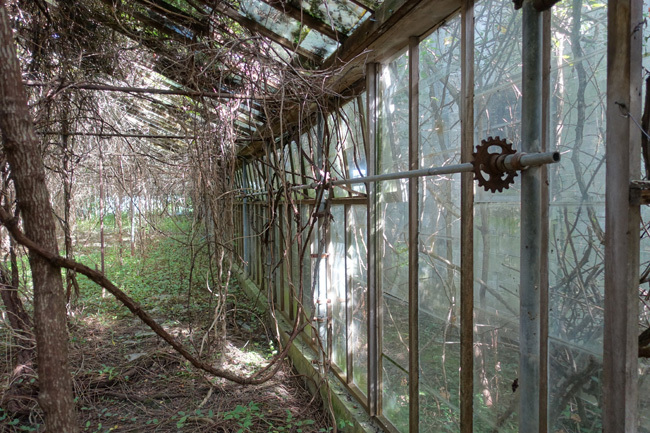 Ever wonder what happens to a greenhouse when it is no longer tended and the plants are left to fend for themselves? 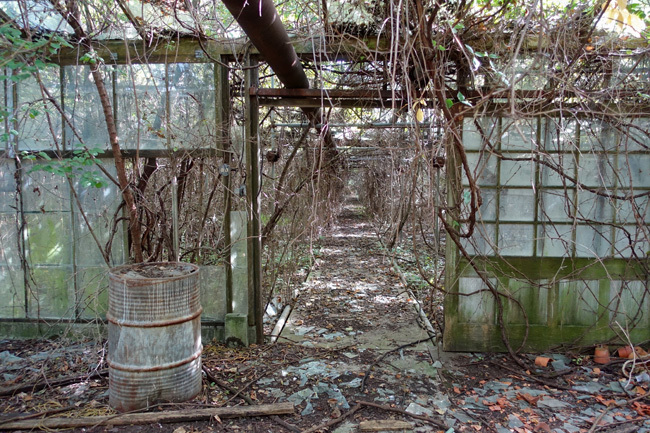 The results can be truly spectacular, as I discovered when I happened upon the wild and overgrown ruins of Otto's Greenhouse in Huron, Ohio. On a sunny autumn morning about 2 weeks into my epic Rust Belt road trip, I made my way through Erie County, Ohio. 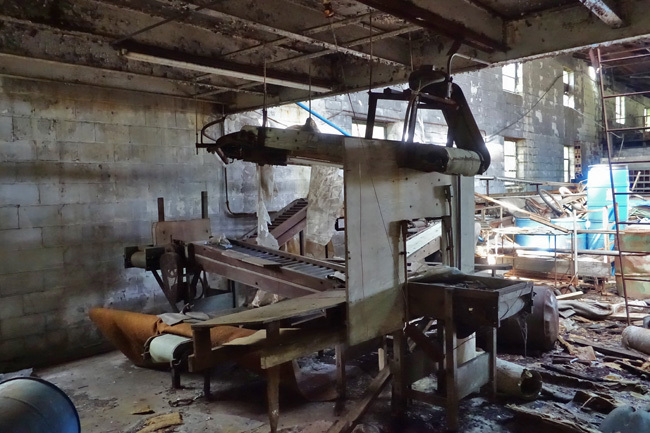 I'd spent the previous day exploring the awesome remains of an abandoned WWII era ammunition factory and the industrial ruins of South Bend, Indiana before continuing eastward into Ohio. With Lake Erie to my left and stretches of farm fields and forest lands on my right, I came upon a sight so unusual and striking that I had to pull over for a closer look. 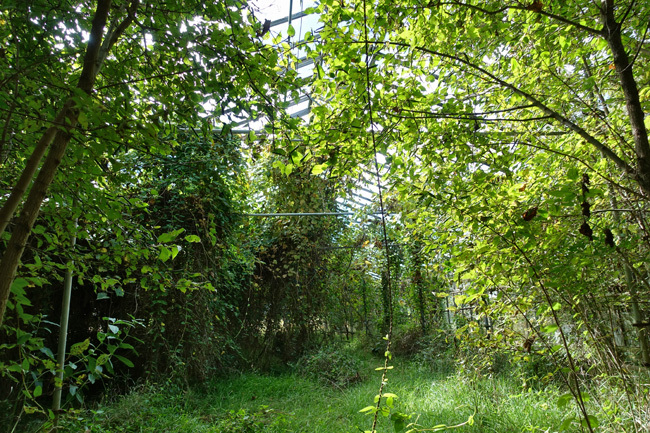 A smokestack towered over a sprawling abandoned greenhouse complex overcome by the plant life it once contained. 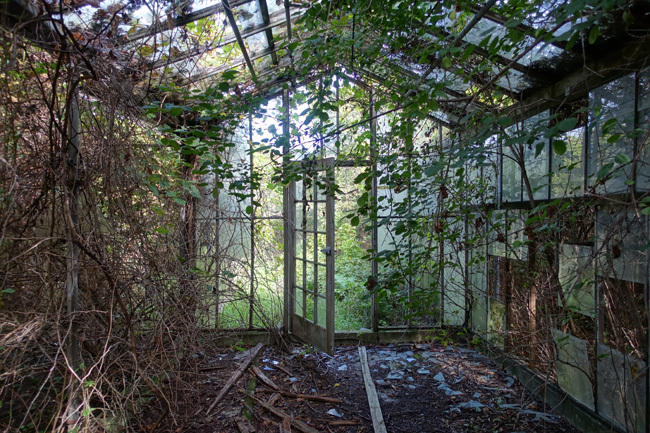 Trees burst through the glass ceilings and explosive plant growth dislodged panes of glass from the structure's metal frame. 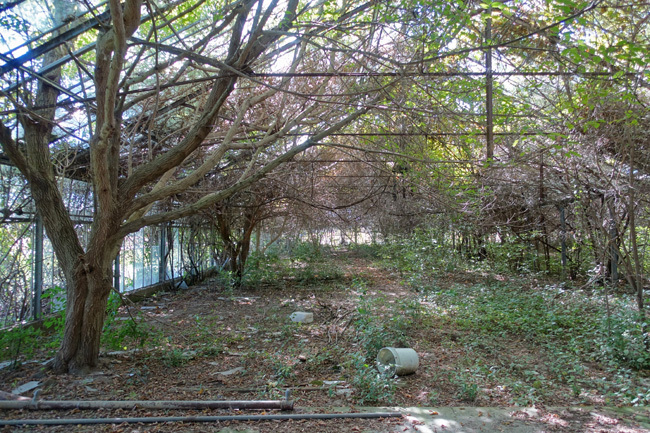 A glimpse inside revealed a ground blanketed in greenery. 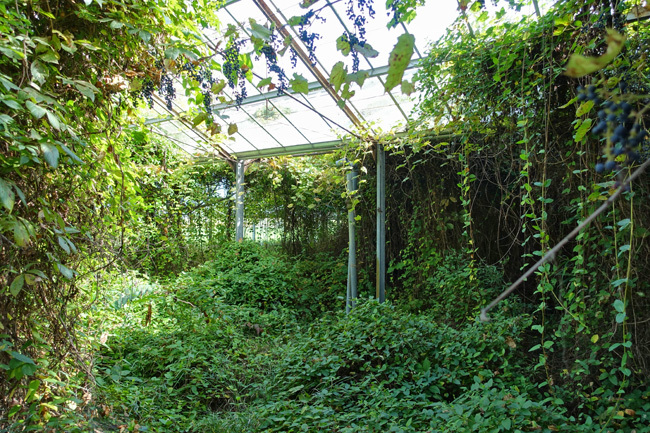 Leafy vines and trees grew along the walls giving the place a jungle-like atmosphere. I felt like I was peering into some magical realm from a storybook. 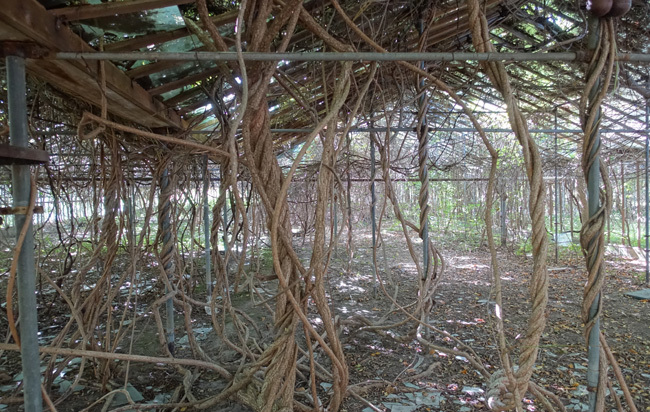 Untended vines grew thick, twisting around poles to reach up through the shattered roof. 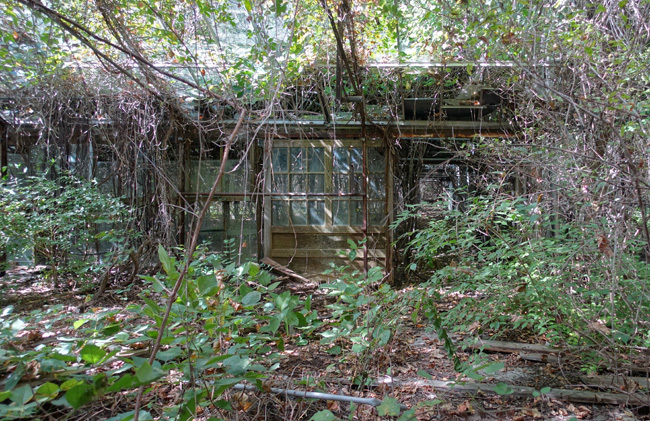 Some areas were so heavily shaded by foliage that few plants grew along the floor. A heap of empty plant pots lay against a wall. 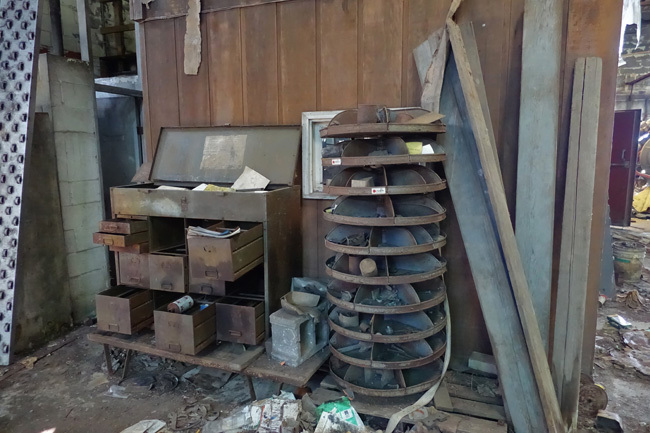 Rusting equipment remained inside the main building. 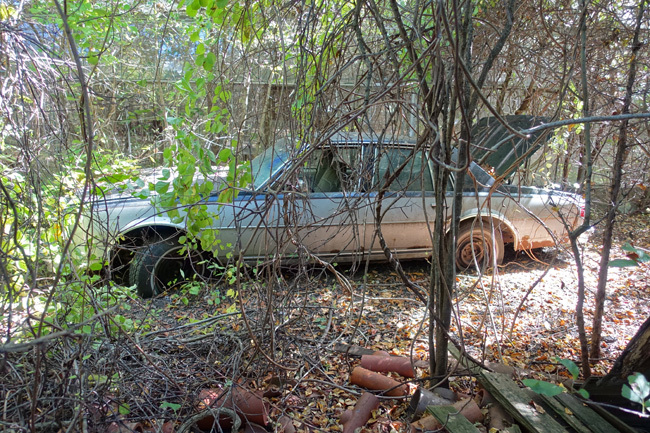 Several abandoned vehicles sat on the property. 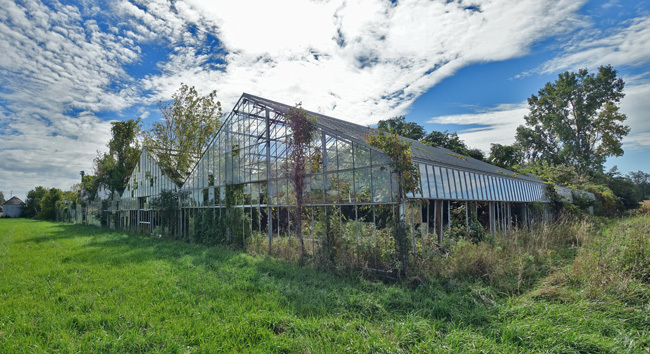 The Otto family owned and operated Otto's Greenhouse for several generations, reaching back to the 1800s. They cultivated a variety of crops including cucumbers, flowers and tomatoes. 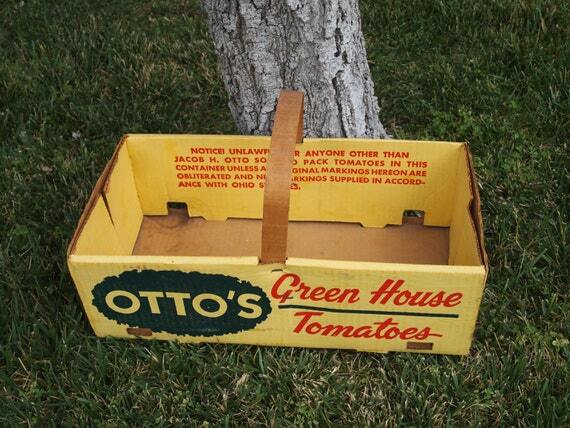 Vintage cardboard tomato boxes from the 1960s can still be found on Etsy. 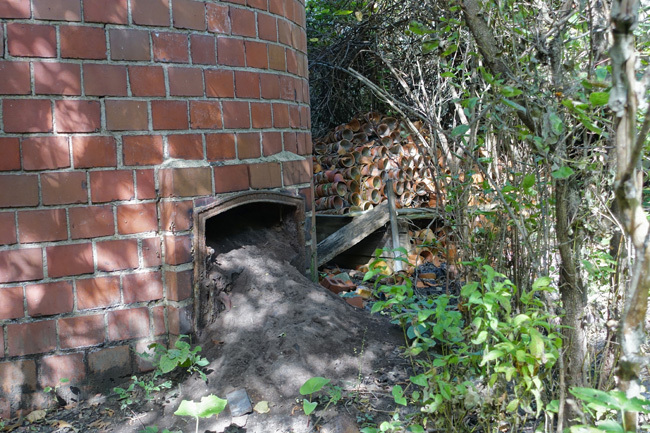 The family had at least one other greenhouse in the Ceylon area, featuring a similar smokestack, but the facility is no longer standing. 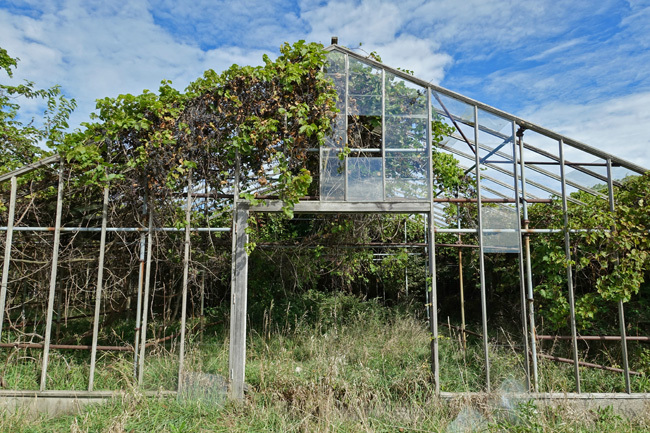 Otto's Greenhouse closed in the late 1990s due to financial difficulties. 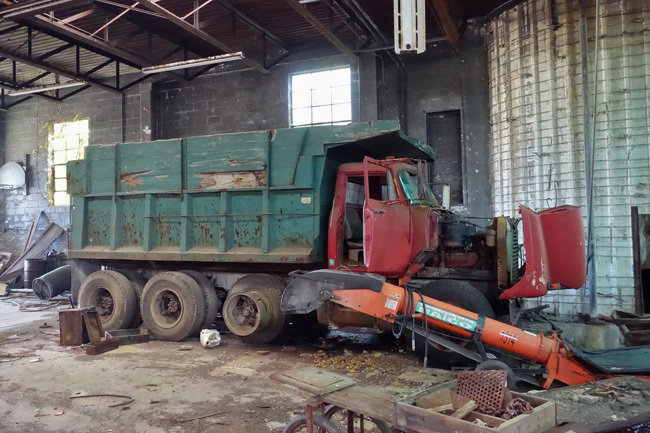 The details surrounding the closure are difficult to pin down, though a variety of reasons have been cited. Competition from cheaper imported Mexico-grown tomatoes undercut profits, especially in the wake of NAFTA in the late '90s. An attempt to pump water from Lake Erie is said to have resulted in the flooding of local homes due to an improperly installed valve. 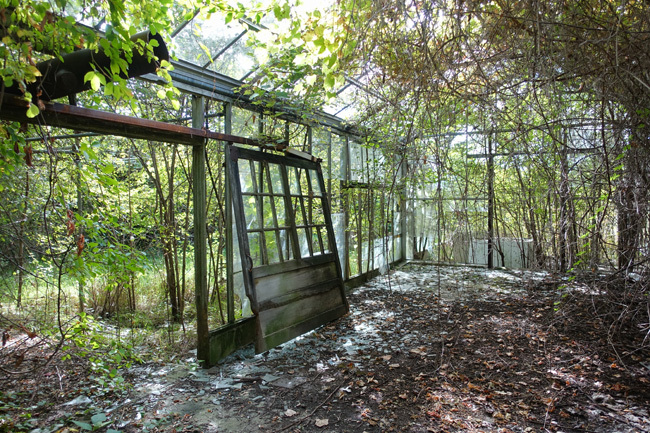 Whiteflies, the bane of many tomato growers, also played a part in the demise of Otto's Greenhouse. 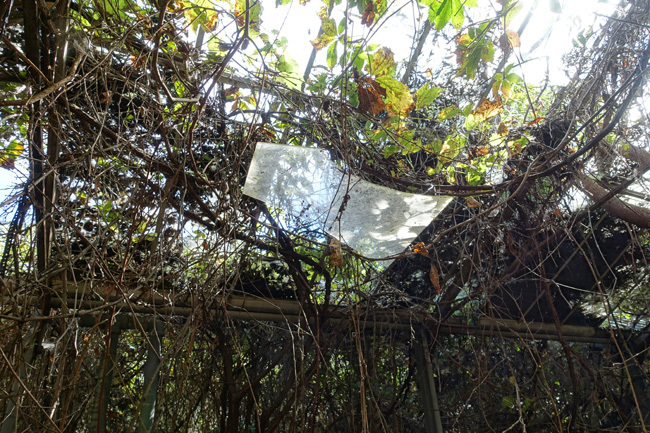 The insect draws sap from the tomato plant, often spreading devastating viruses and mold infestations. 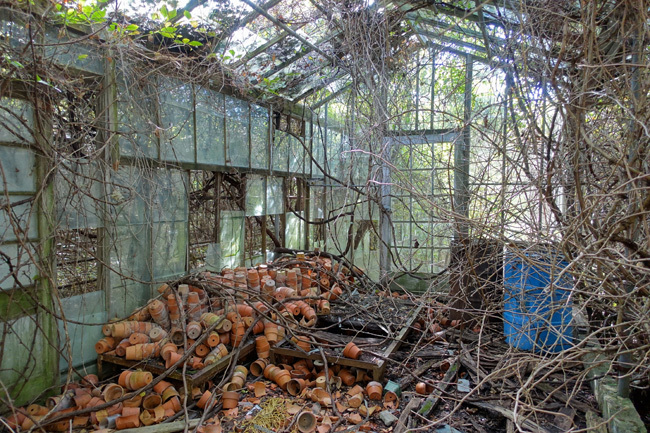 I was fortunate to have the opportunity to see Otto's Greenhouse while it still stood. 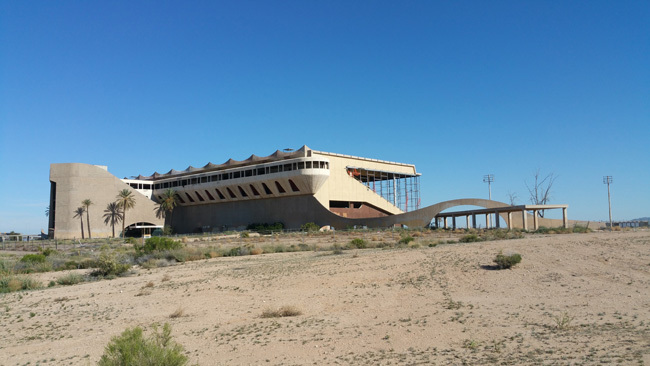 This beautiful structure has been demolished since the time of my visit. 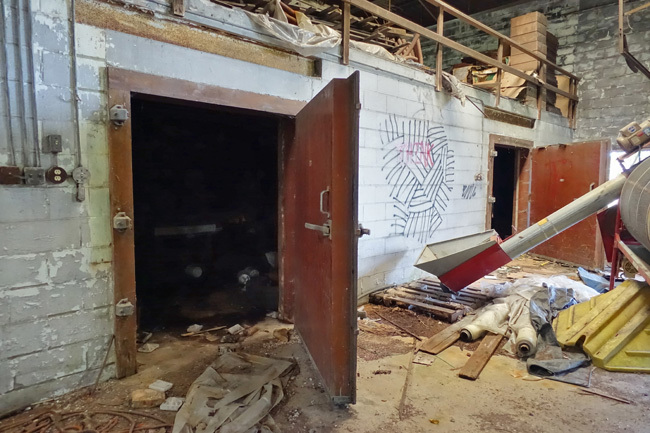 A drone video posted on Youtube shows that very little remains of the greenhouse, other than the smokestack and the gutted shell of the main building. I resumed my journey eastward to Akron, Ohio, where I lived out my dream of exploring a dead mall. I can hardly wait to tell you about it. 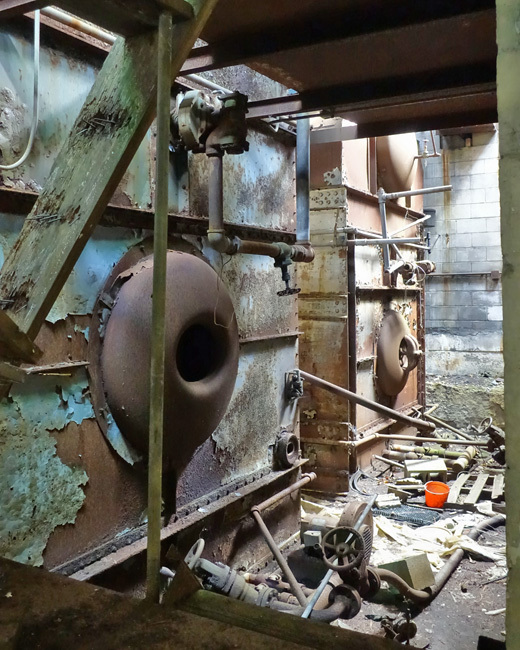 Until then, click here to read about other awesome abandoned places I've explored. we spent alot of time in huron as kids, my grandparents lived there until i was 8, and had two sets of aunts and uncles, cousins so we were out there like every weekend. I remember when these were functional and before the highway was completed, we would take rt6 all the way there and we would get to the greenhouses, we knew we were close. Icant beleive how over grown they are, wow!! blast to the past, great article. Thank you! You must have had so much fun out there as a kid! Thank you. It was a beautiful place. I'm thankful I was able to document it before it was demolished. I'm glad you enjoyed the pics. I love your photography and your stories. Thank you! I'm so glad that you had the opportunity to capture all of this before it was destroyed. Thank you so much, Heidi! I'm glad I got the chance to see it while it was still standing too. Just in the nick of time! I started at the beginning and read all night and most of this morning. You are living my dream. I am so grateful for your blog and photos. You've taken me from the scorching heat of Arizona in July to beautiful green landscapes and architecture I never knew existed. A history lesson, for sure and a very humbling sense of peace in my heart. These adventures, vicariously through you have been bittersweet. I look forward to your next adventure! Thank you, so much. I love this! So sad that it has been torn down now though. It would have been a sight to see in person. How do you find these spots? It was amazing to see in person. I hope they put the land to good use. 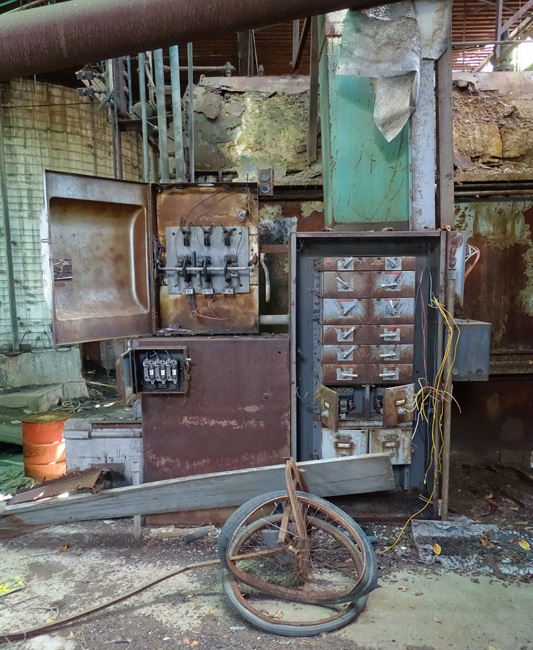 Finding interesting places usually requires a lot of research, but sometimes I'm lucky enough to stumble upon them by chance.